Experience unrivalled comfort, control, and pinpoint accuracy with RollerMouse Red, an innovative, ergonomic mouse that sits in front of a keyboard. 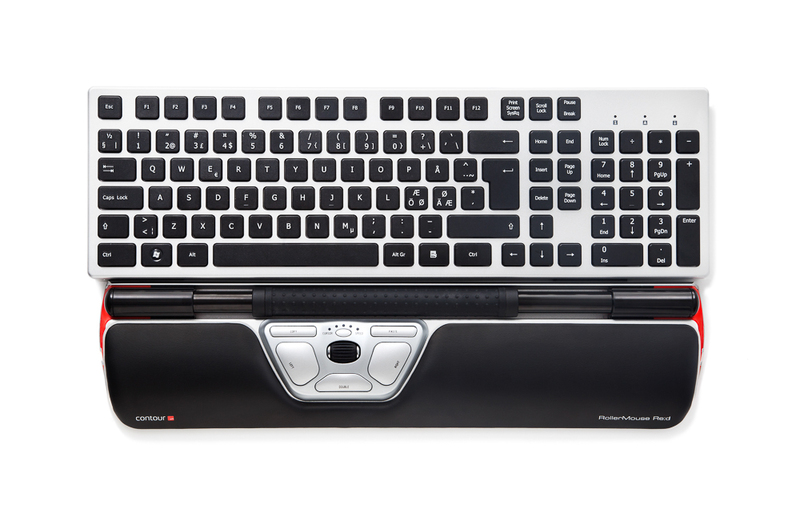 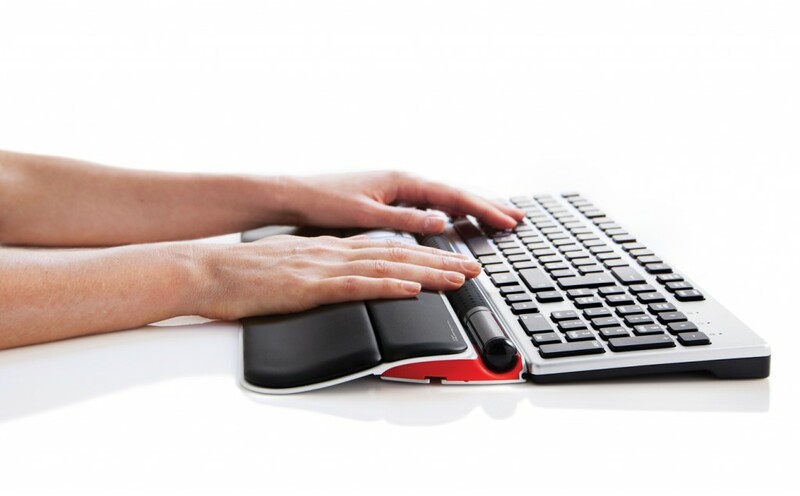 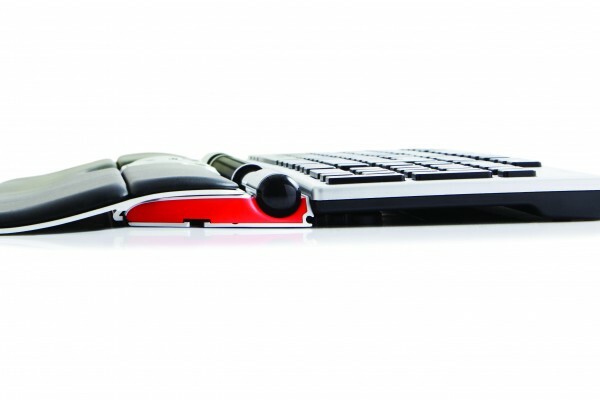 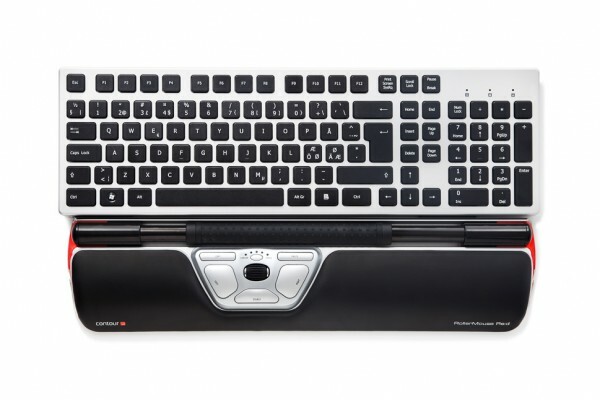 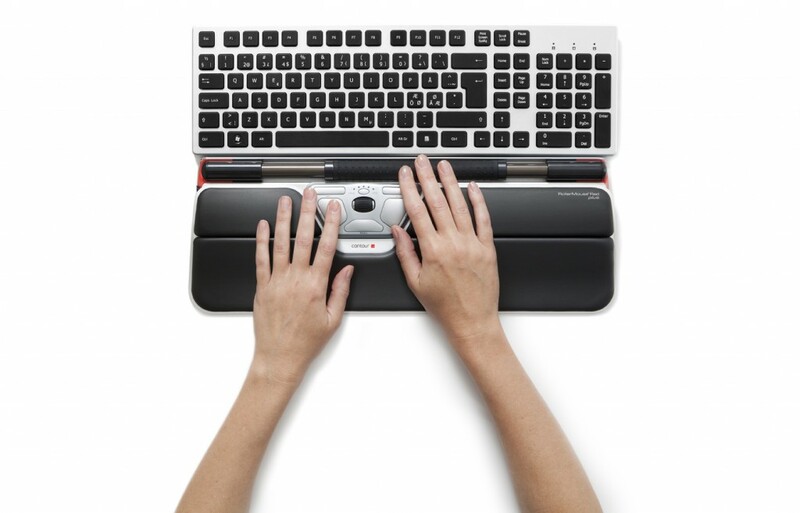 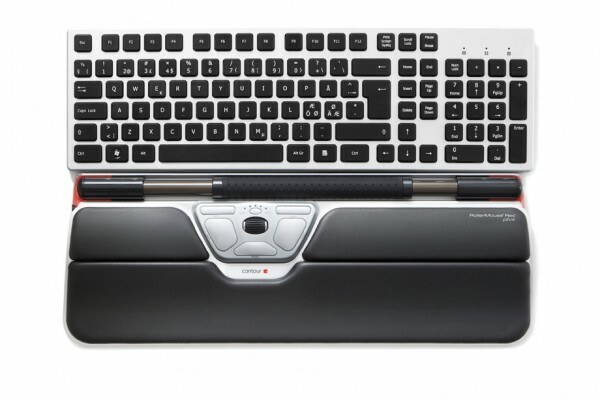 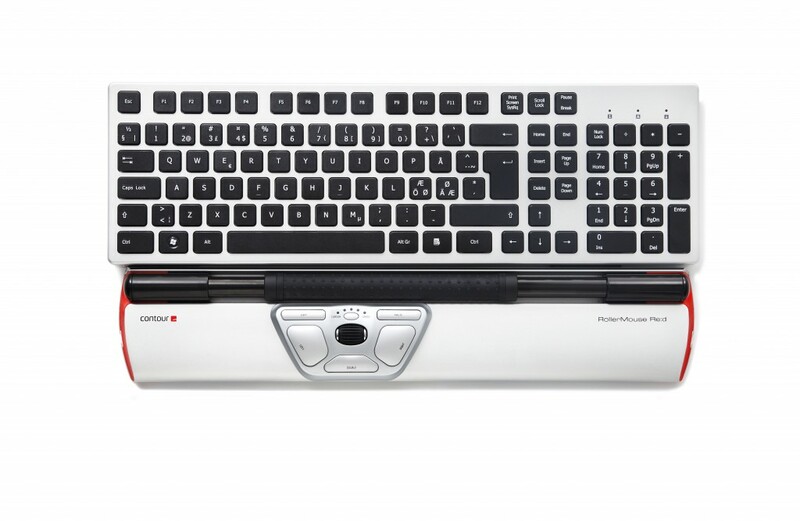 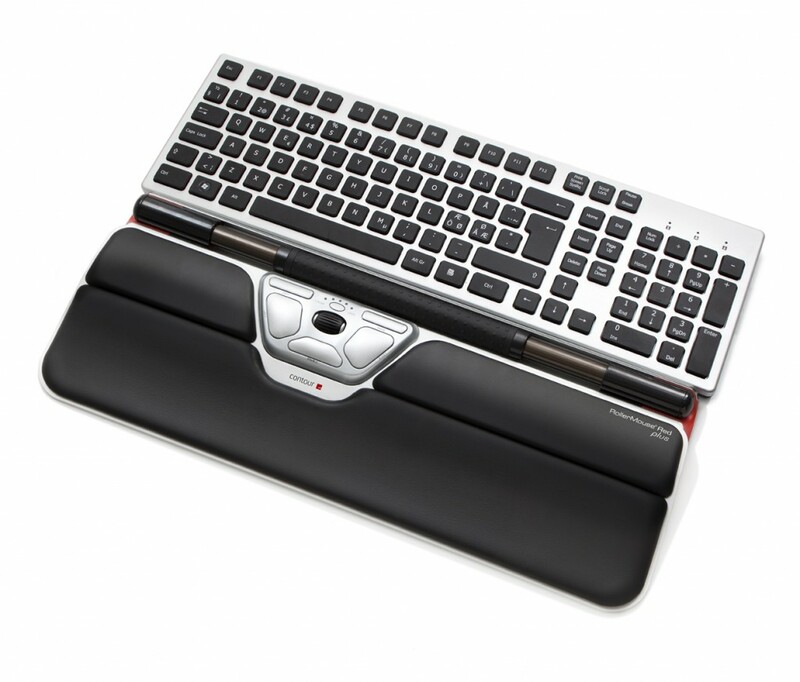 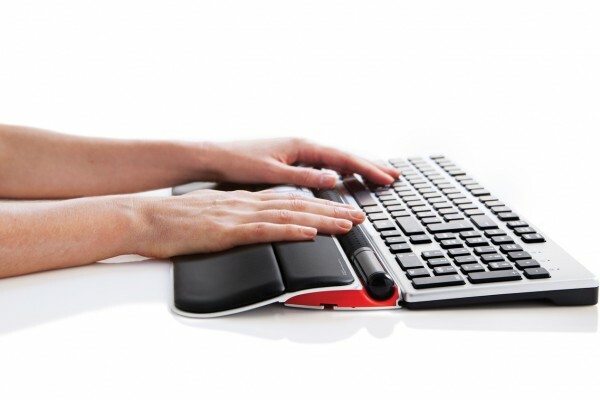 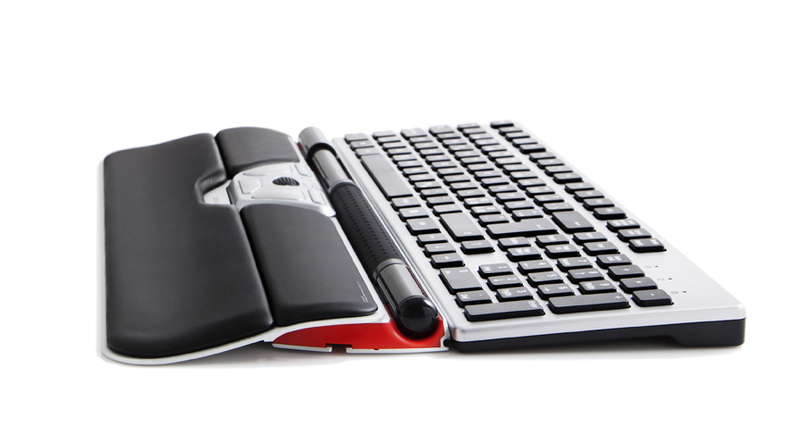 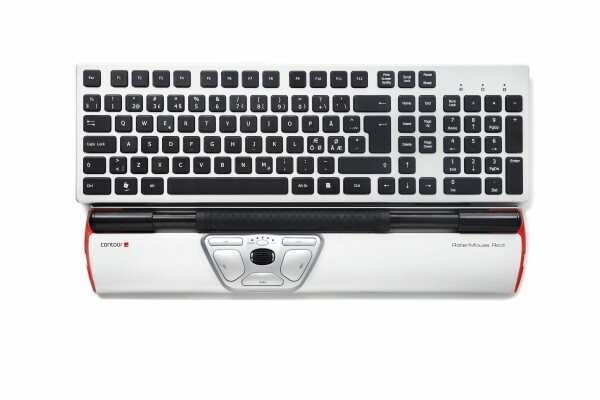 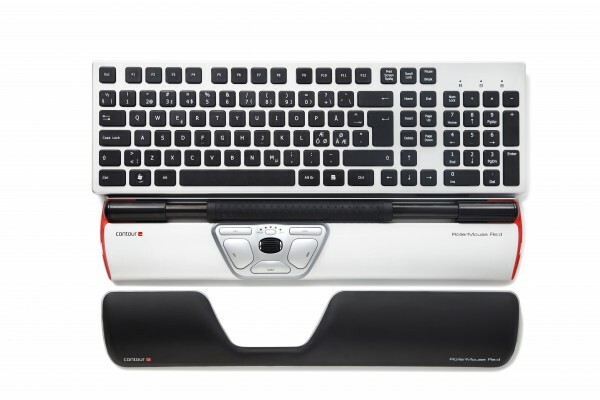 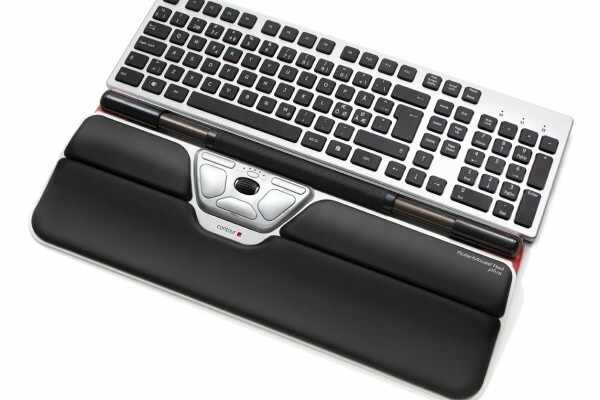 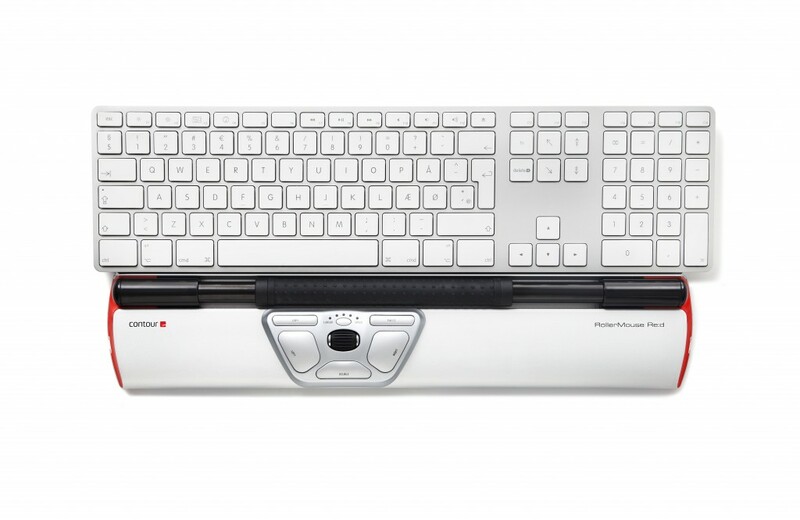 RollerMouse Red allows users to stay within their optimal work zone with relaxed hands and a neutral wrist posture, eliminating the need to grip or reach for the mouse. 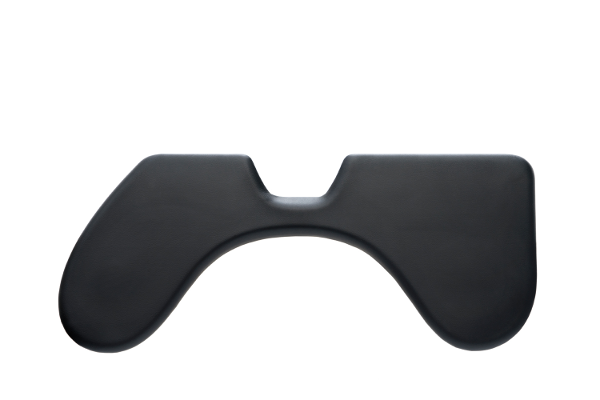 Prevents pain in the shoulder, neck, and elbows caused from RSI. 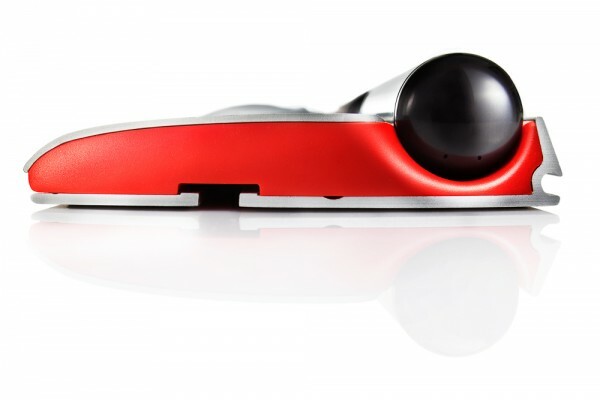 RollerMouse Red is the premier model in the family of RollerMouse products. 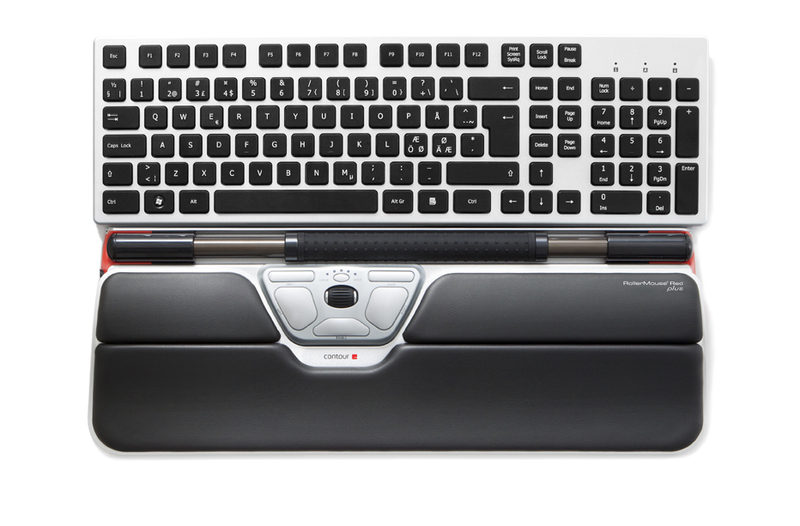 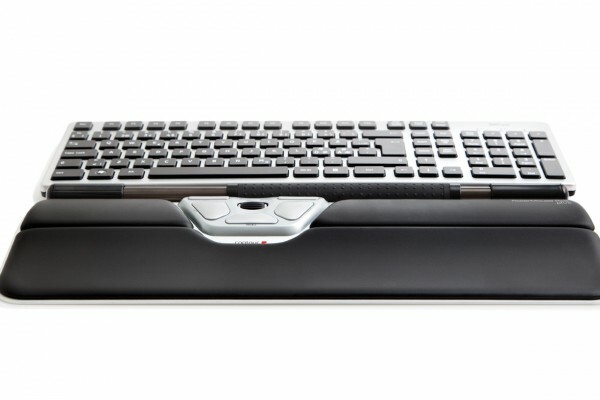 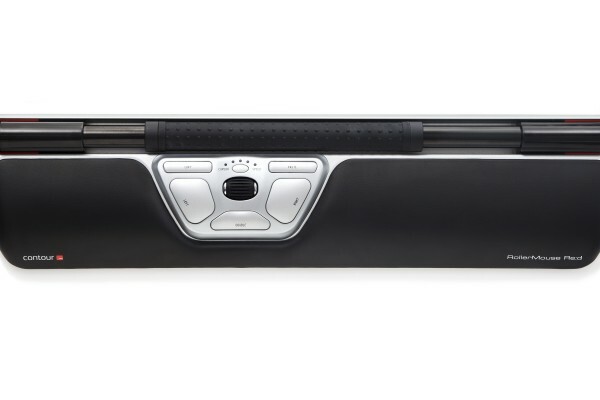 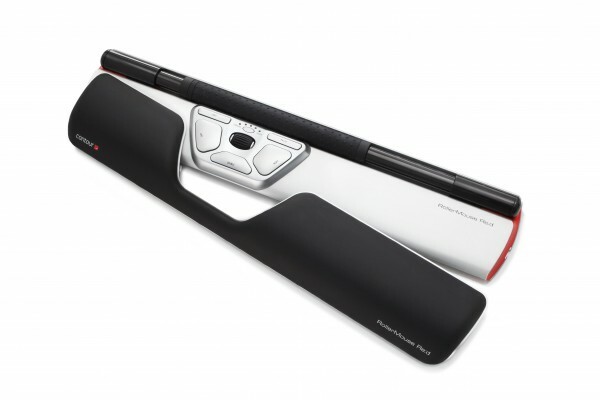 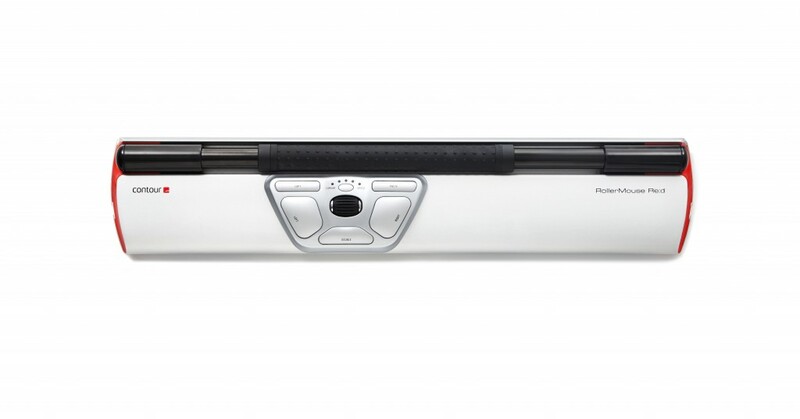 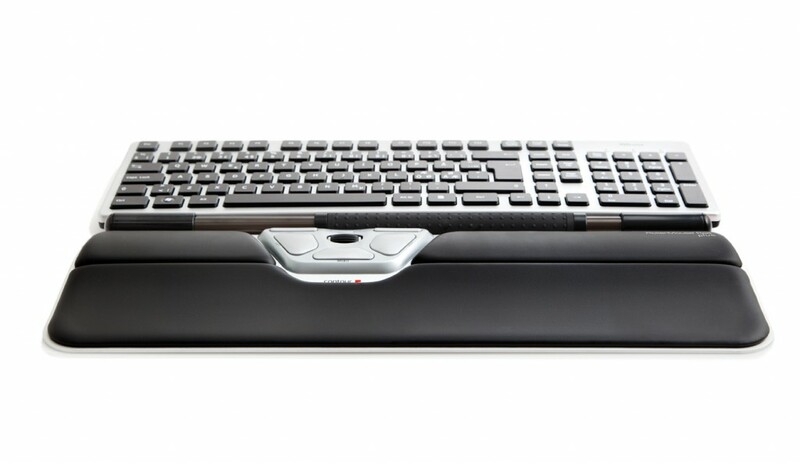 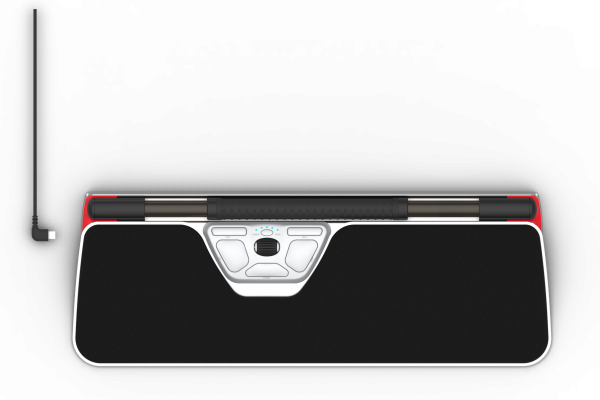 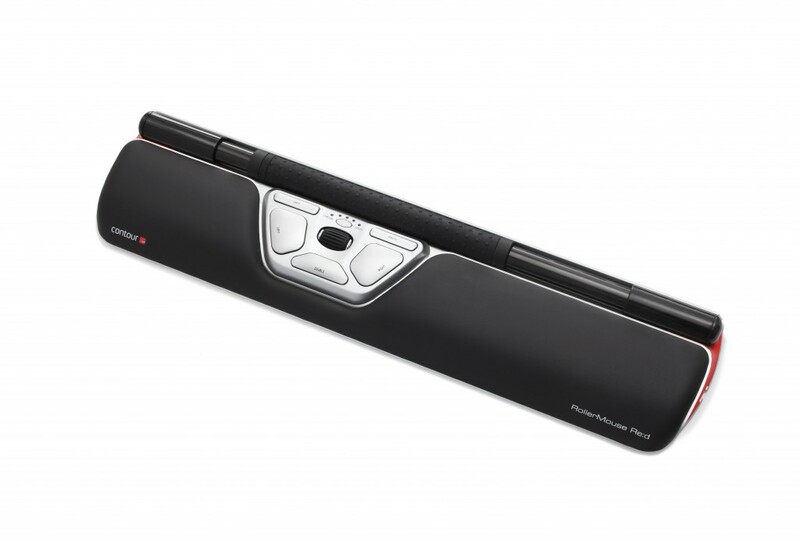 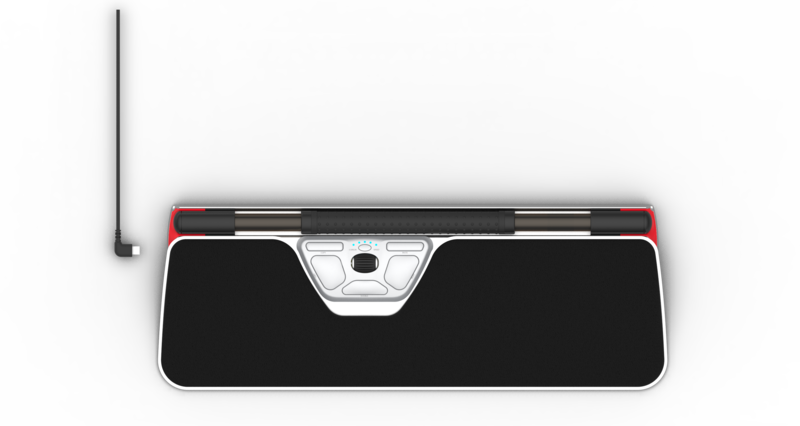 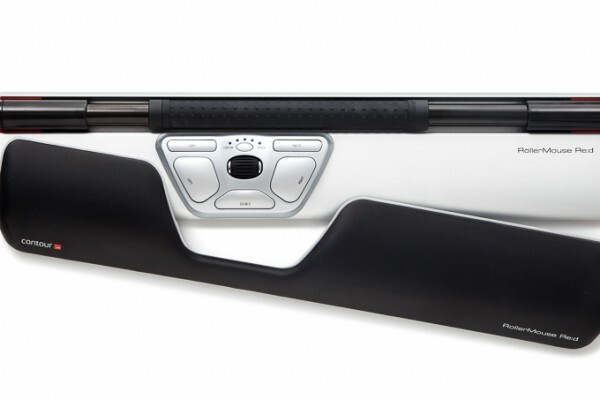 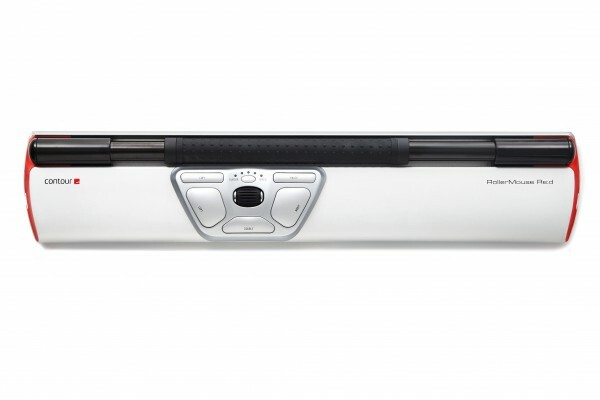 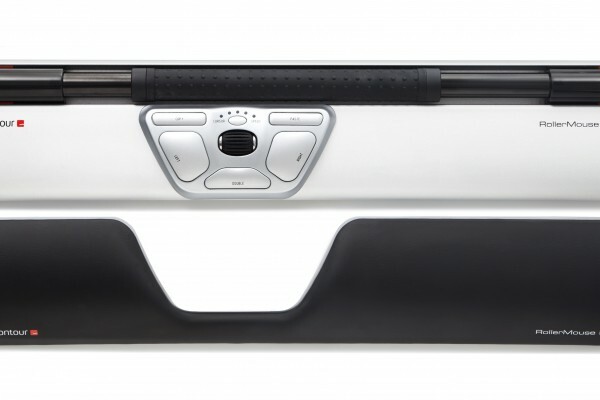 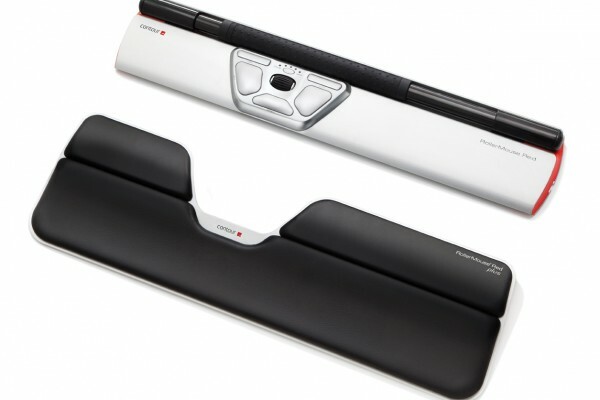 It features a larger rollerbar than its predecessors, and a left click that has been virtualised to minimise impact on fingertips while providing unrivaled precision. 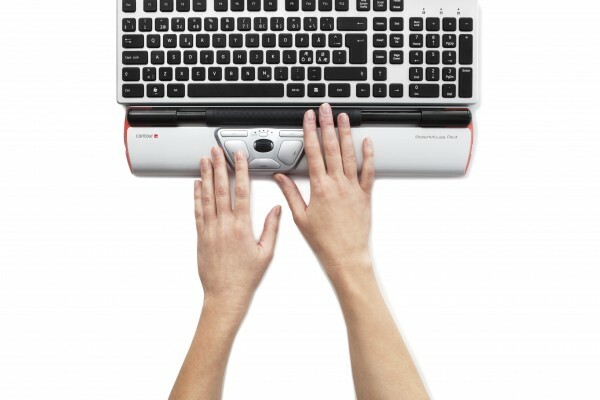 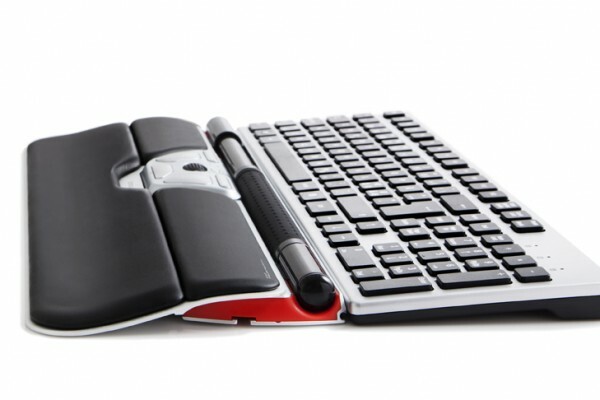 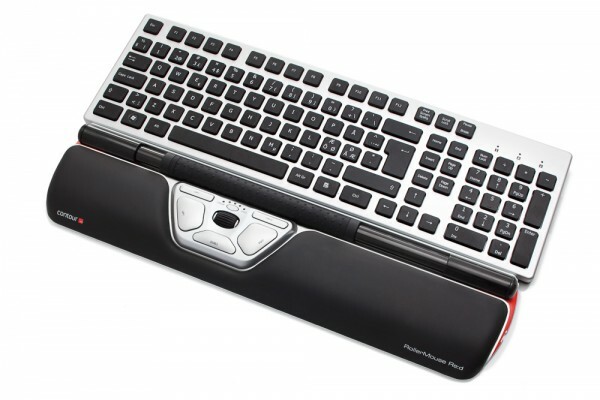 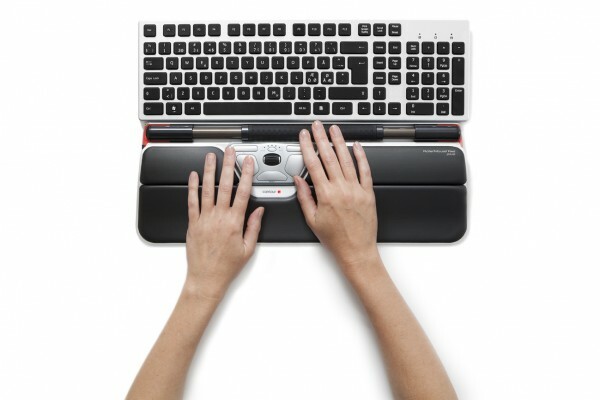 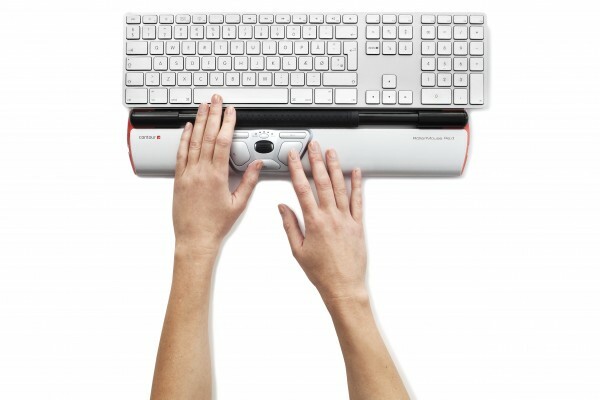 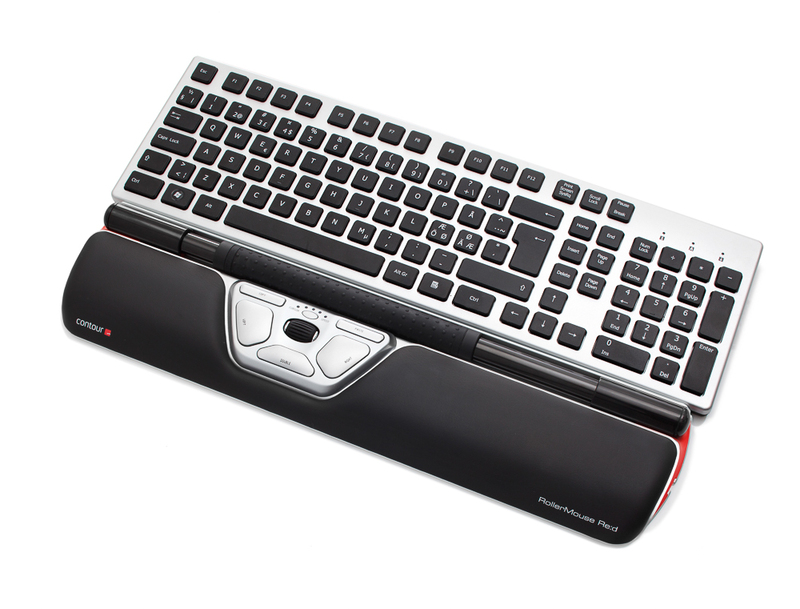 RollerMouse Red is best suited for users with small to average sized hands, adding the RollerMouse Red Plus will accommodate the users with larger hands. 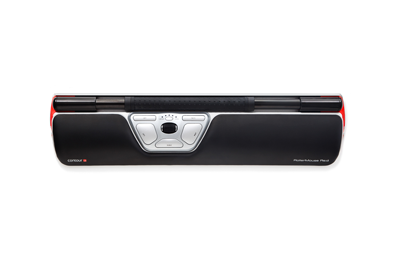 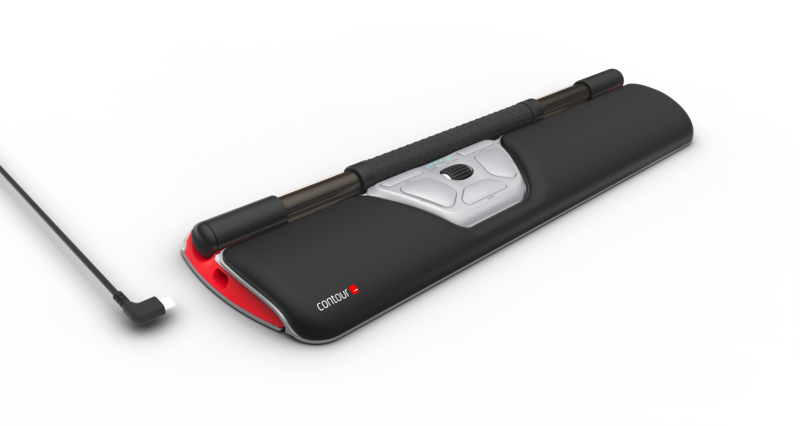 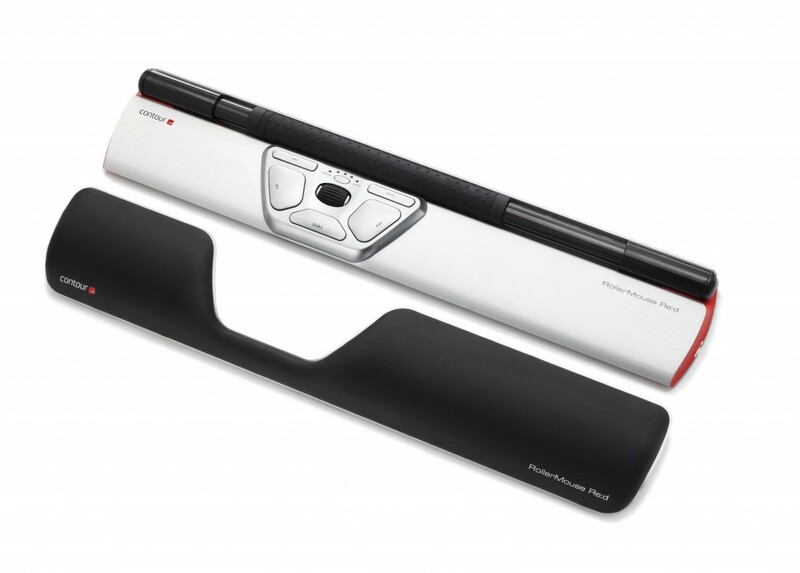 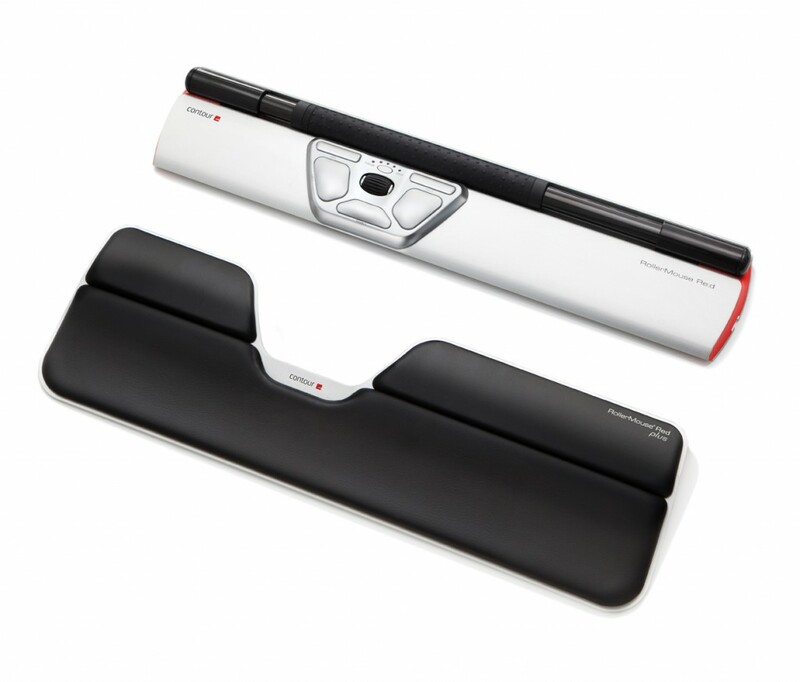 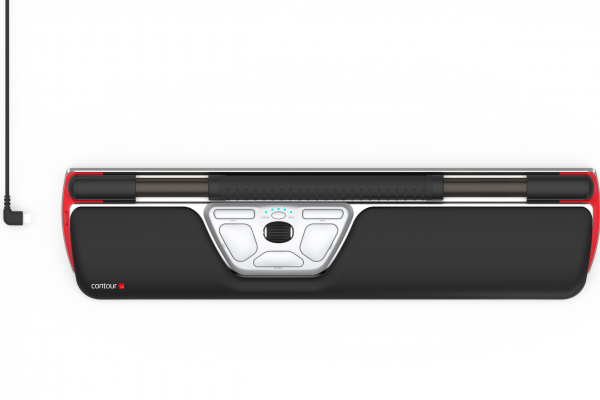 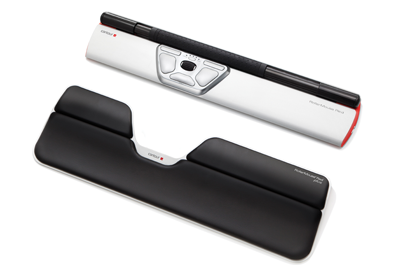 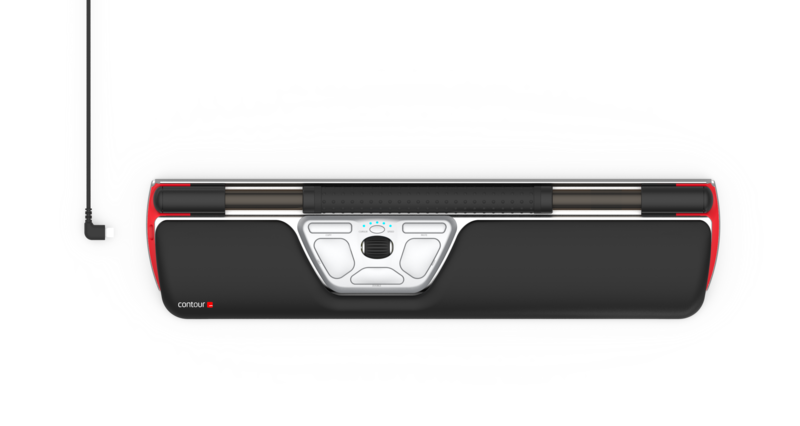 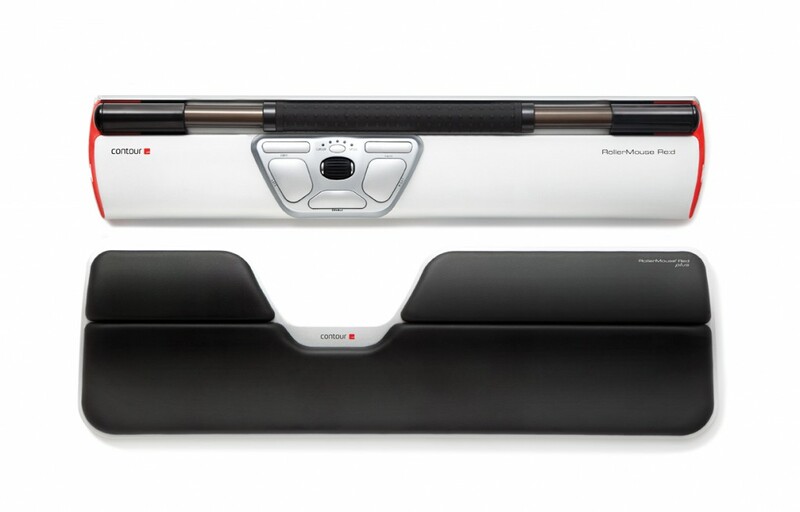 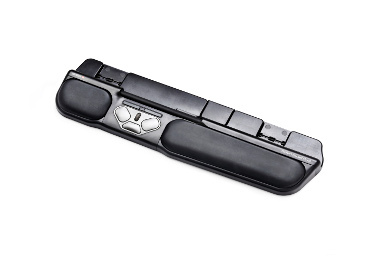 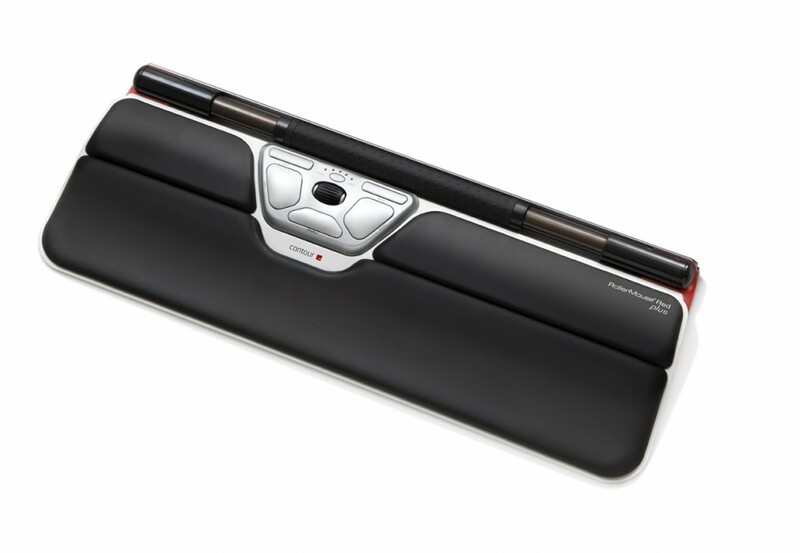 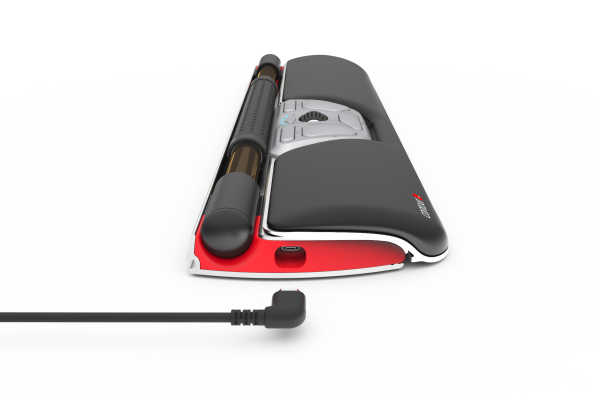 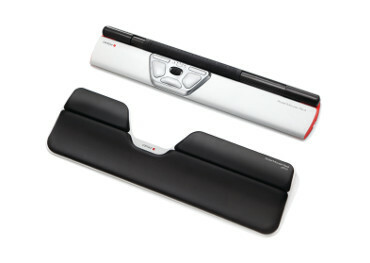 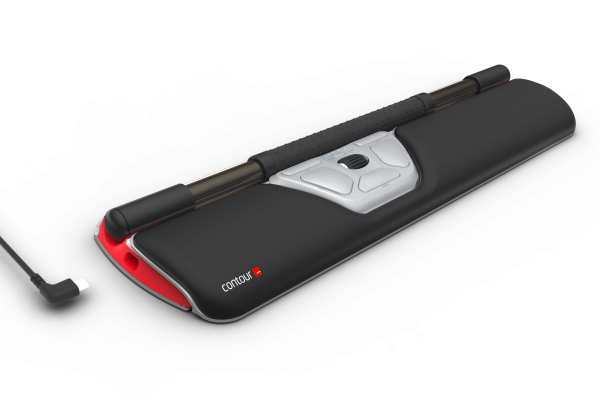 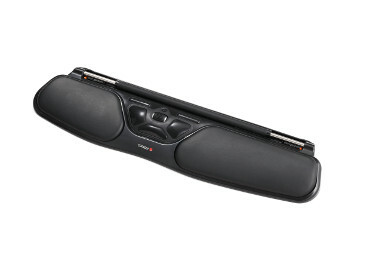 Click below to view and move a 3D model of the RollerMouse Red. 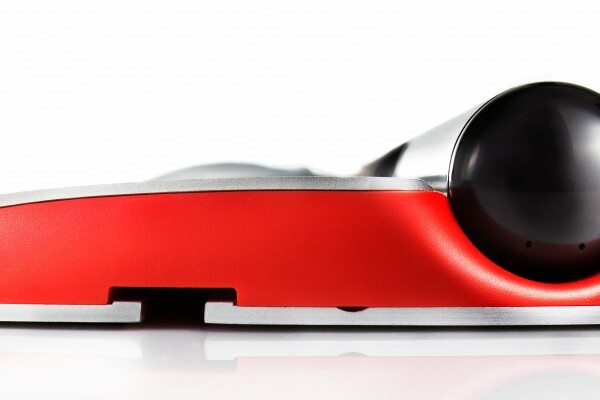 The RollerMouse Red is now available in wired and wireless. 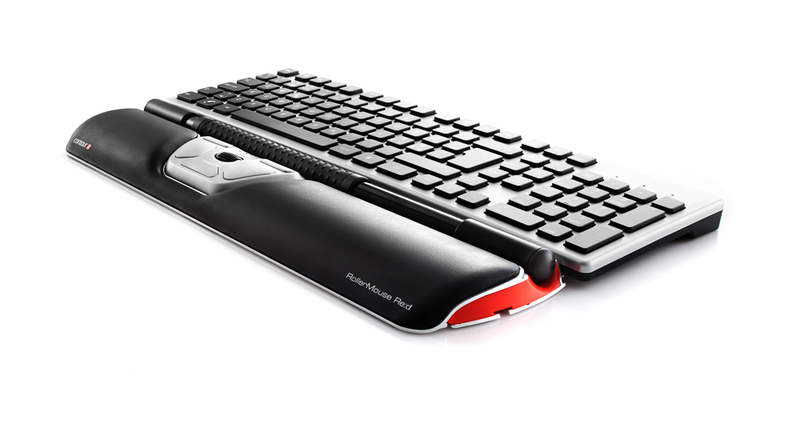 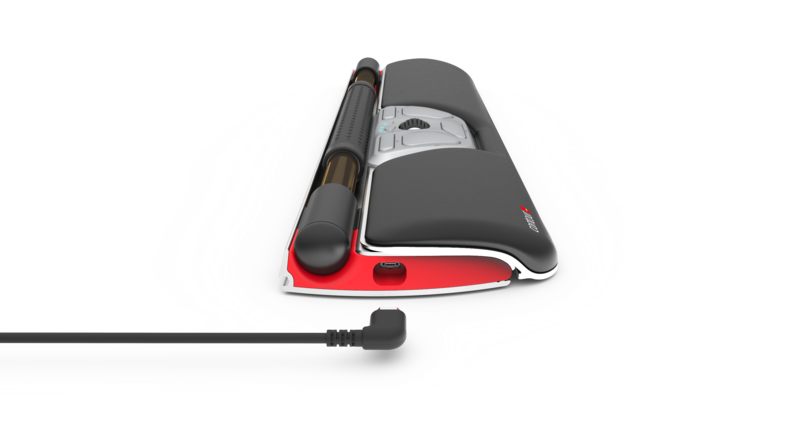 RollerMouse Red Wireless is everything you love about the award winning RollerMouse Red and more, with ten cursor speed selections, improved digital click for an even more natural feel, extended bar length and a long lasting battery. B. Cursor speed adjustment. 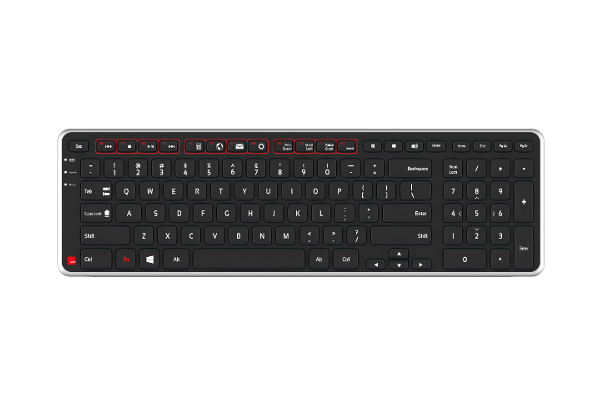 Quick and easy speed selection. 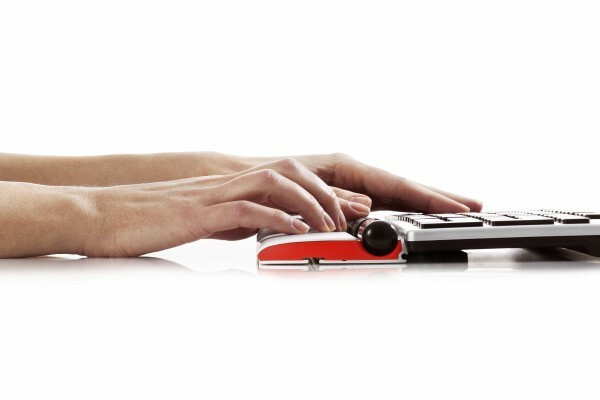 Get high precision with a click. 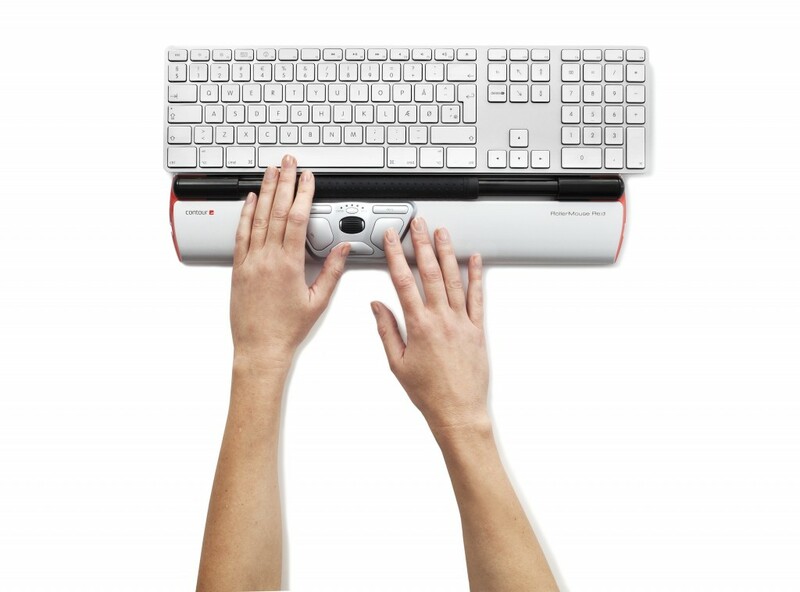 Choose between five cursor speeds ranging from 800 dpi to 2400 dpi. 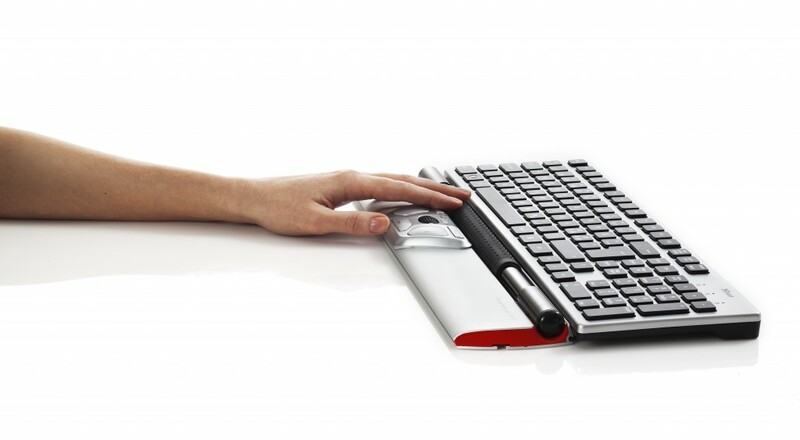 C. Copy. 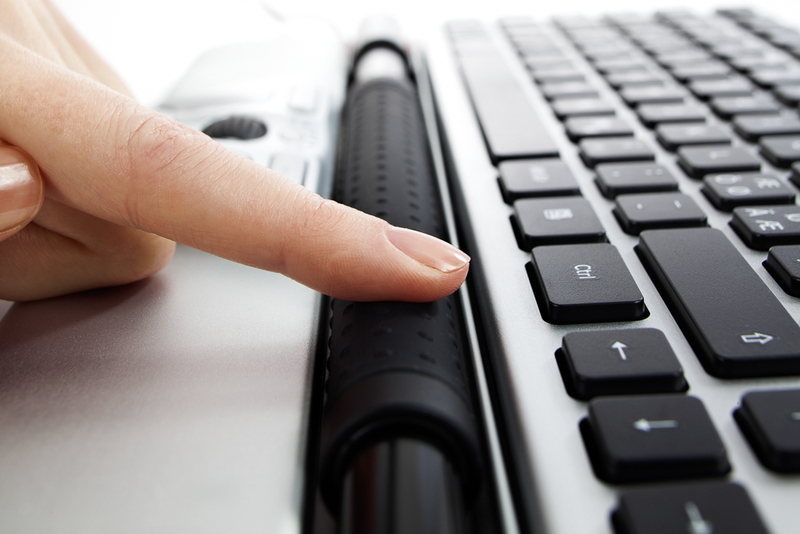 The ‘one touch’ copy button. 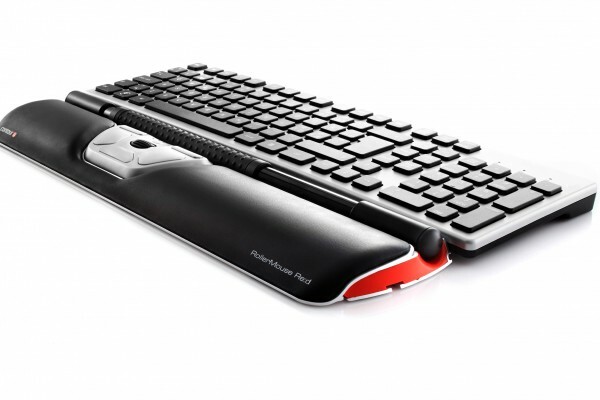 D. Paste. The ‘one touch’ paste button. 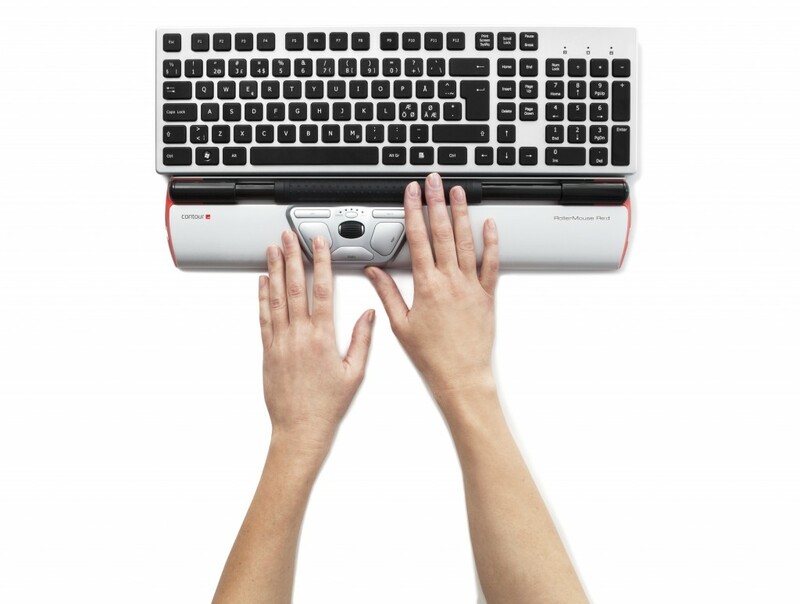 E. Left Click. Use the large left button to left click. 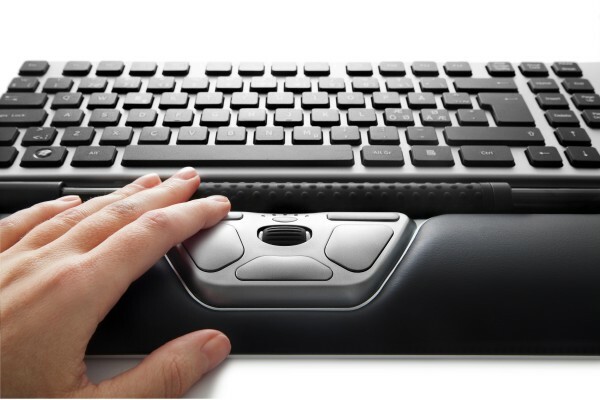 F. Right Click. Use the large right button to right click. G. Scroll wheel. 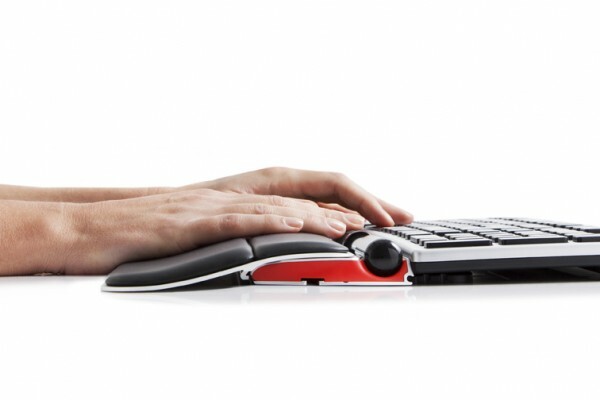 A new, wider, rubber coated scroll wheel makes the click function even easier and smoother. 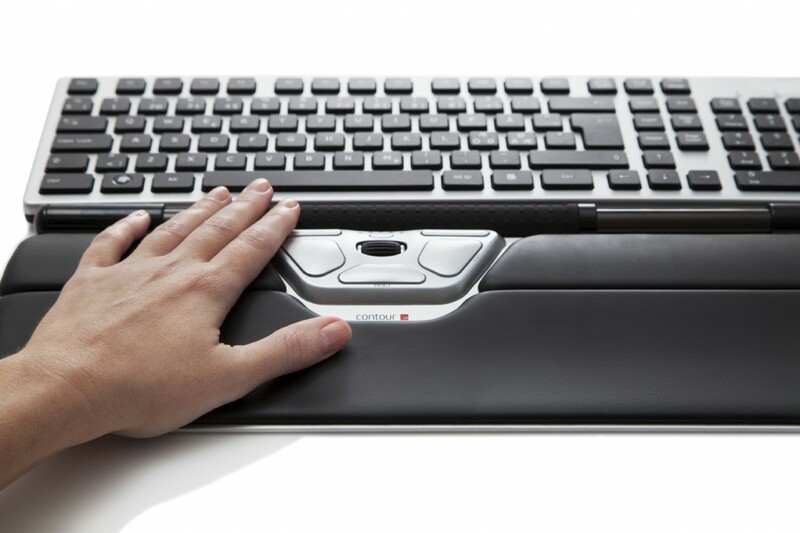 Move up and down, middle click and auto-scroll lock. 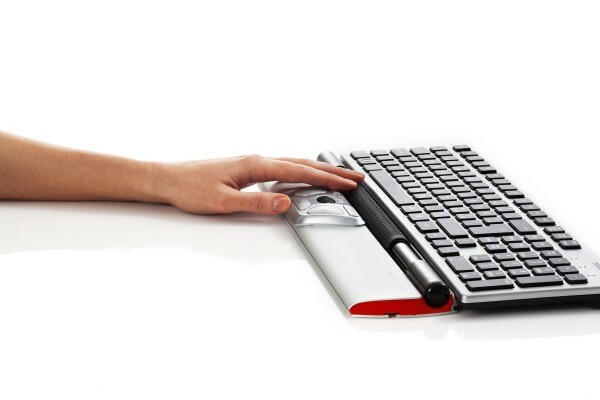 H. “One touch” Double click. 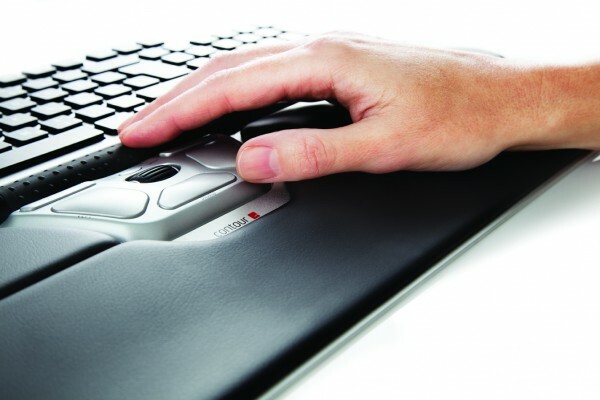 Get two clicks in one with the ‘one touch’ double click.